Kameela, what are the first things that someone should think of when planning a baby shower? Planning a baby shower for a loved one or a friend can be an exciting and rewarding experience. And I am sure you may have tons of ideas that you want to include. However, we recommend taking some time to ensure that you are truly honoring the Guest of Honor’s wishes. Believe me, they have a vision of how their special day should be. Before making any plans, set aside some time for a quick chat to gather the important “must-haves”. Perhaps schedule some time to discuss the celebration over lunch or even dessert! I am pretty willing to bet the moms will thank you for the sweet treat! When looking at venues, what are things that people should consider before agreeing on a space? Is the venue available on the desired date? How much time will you have to set up and breakdown? Will the space allow your guests to move around comfortably if stations are setup such as a photo booth or game area? What themes do you think are going to be the most popular and most chic this year? We love designing fresh and modern themes with our Guest of Honor in mind. 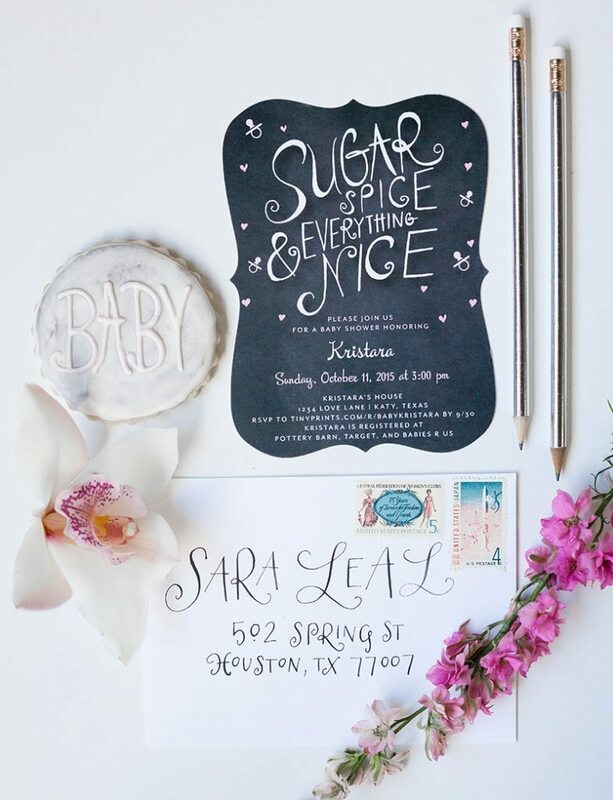 We have a blog post full of our favorite baby shower themes and it’s packed with a ton of clever ideas. You are sure to find something that will get your creative juices flowing. Budgeting is so important. What are things that people should consider when trying to determine a budget? Oh that “B” word! Yes, I am referring to a budget. Whether you want to admit it or not, everyone has one or should have one. Having one allows you to set a parameter on what elements to create. If you don’t have one yet, take a moment to determine what that magic number is. Remember we mentioned keeping the Guest of Honor happy and honoring their requests. 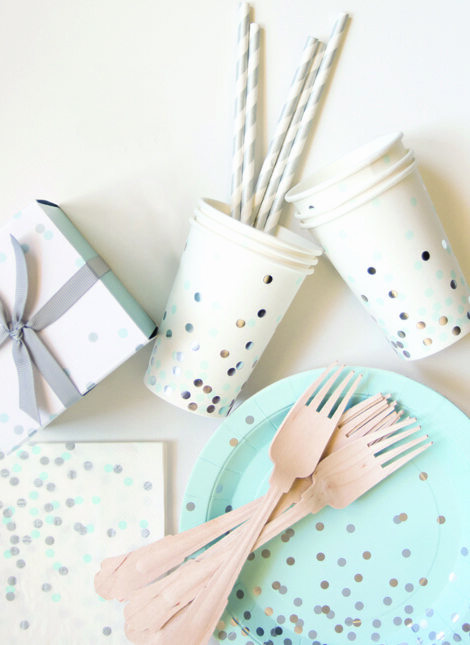 We recommend gathering a list of her must-haves and determining the cost to incorporate those ideas into the celebration. Consider your overall budget and how realistic each request is. Ask her to prioritize. Also, keep in mind there are other critical elements that you should consider including the food, venue, decor, professional photography, guest favors, and desserts. I know you are thinking, “Aren’t desserts considered food?” I personally think it’s important to keep these two areas separate when planning out your budget. Whether you hire a caterer or make the food yourself, this area will be the most expensive component of your budget. Take a moment to research local vendors in your area for each section of your plan. Reach out to them to determine the costs for their services and determine if their fees are a good match for your needs. However, I am also a firm believer that because it’s cheaper, it does not mean it’s a better option. Schedule an appointment to meet over the phone and check out their online portfolio. Doing these things will help you make a solid decision. What games do you recommend to keep it fun and interesting at the party? We love ourselves a good scavenger hunt. These can be created to compliment any theme. We typically use them as icebreakers because it gets your guests mingling and engaging with others. Check out our list of other ideas HERE! Any shower décor that you think is a must? Did you say shower décor? Well that happens to be our specialty! Once you have a theme identified, you can choose décor pieces to incorporate into your shower to bring the theme to life. 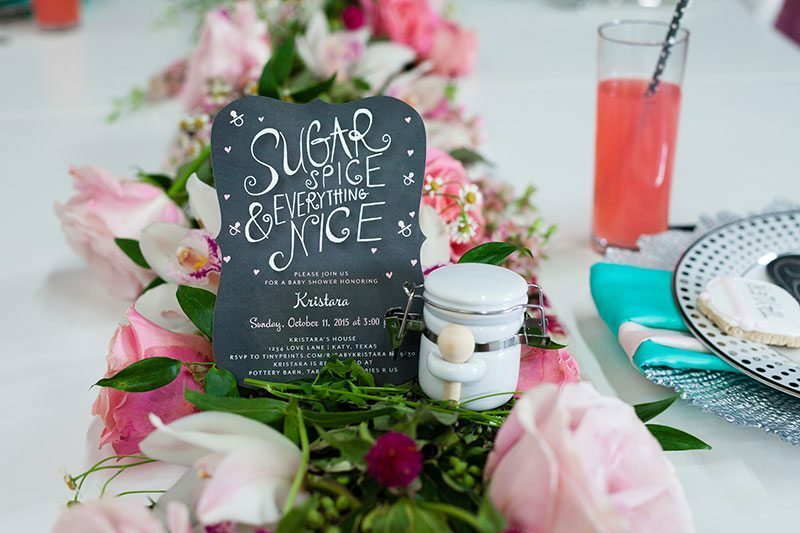 Your most important elements include signage, centerpieces, and props to help carry the them throughout your set up. Our favorites are florals. 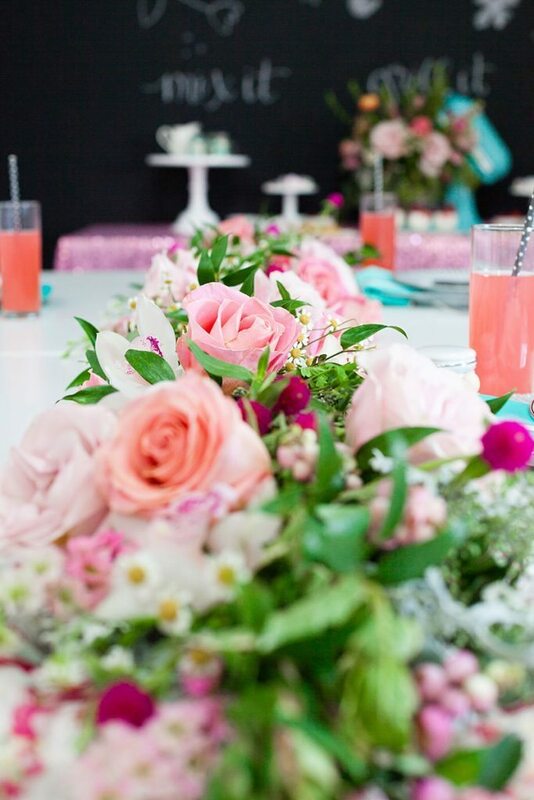 It really sets the tone for your event and can be created to compliment your color palette. I would recommend, taking a moment to conduct an inventory search in your home to locate baskets, small suitcases, fabric, candle holders and anything you feel that compliments the style you are going for. 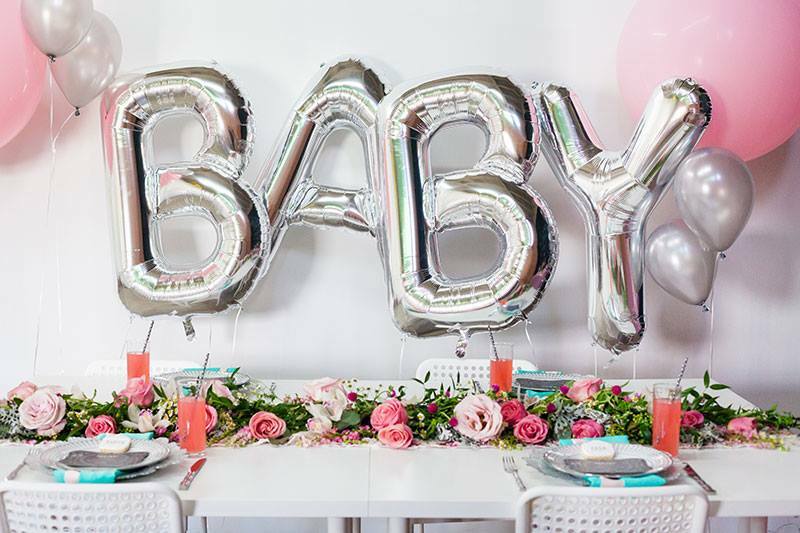 Once you have secured the critical pieces, purchase party décor that spells out the theme or the word “BABY” like our Candy Letter Dishes and Mylar Letter Balloons. Be sure to add the finished touches using cups, plates, and eating utensils. What party favors do you think will be the biggest hits? We feel party favors should be useful and compliment your theme. Our favorite favors are sweet! Yes, I am referring to a gourmet dessert station filled with delicious macarons, cake pops, and chocolate molds! It will serve a focal point for your event space and as a sweet take home favor for your guests! What invitations do you recommend the most? Are email invites a no-no? Call me a traditional girl or old fashioned, but I love myself a paper invite. Invitations set the tone for your event and get your guests excited about the upcoming celebration. Email invites should only be an option if you are short on time. When planning the layout and flow of the party, do you have any tips? Planning an event is like telling a story. There is a beginning and there is an end. There should be a smooth flow and process for your event. I recommend creating a schedule of events for the celebration and putting a time limit on each activity. This will help ensure you do not go over the specified limit of time for your event. Create a schedule draft and make edits as you work through the planning process. What are the most forgotten points that all event planners need to think of? As I mentioned earlier, just be sure to keep your Guest of Honor’s wishes in mind during every step of the process. Planning can be exciting and we can sometimes find ourselves forgetting what’s really important. Be intentional about every aspect of your plans. 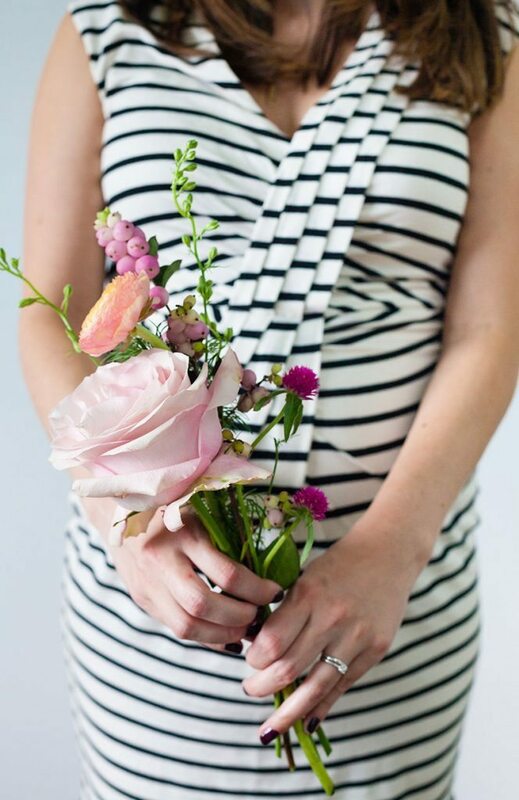 Do you recommend any must-haves for a baby shower? A professional photographer is my absolute must-have. The GOH will appreciate the gorgegous photos of her celebration for years to come. A photographer will be the best person to ensure your story is recorded and captured. What should a hostess prepare the week of the shower? The hostess should take time to reconfirm with all vendors involved whether its a caterer, baker, or photographer. Be sure to confirm their arrival time, provide directions, and make any last minute payments that should be paid. Making a checklist throughout the planning process will help as well. It relieves some of the additional stress of possibly forgetting something! What should a hostess check on and prepare the day of the shower? The hostess should reach out to GOH and thank them for allowing you the opportunity to plan their event. See if she has any questions or needs anything. Believe it or not, the GOH can get nervous too! Be sure you have all of the supplies needed such as cake knives, safety pins, tape, scissors, or other crafting tools if you are responsible for decorating! Why is it a good idea to hire an event planner for a baby shower and what are the benefits? Hiring the right planner is always a good idea in my opinion. I may be a bit bias, but it’s true. How many times have you hosted a party for your child, a friend, or family member and you looked at the pictures after the event and realized you made it in only one photo because you were busy setting up, putting out fires, or even taking the photos? Hiring a planner to serve as the day-of-coordinator can relive some of the additional stress that comes with setting up or hosting an event. We also are pretty good with avoiding disasters, saving money, and offering clever suggestions to bring your theme to life. Hire a planner and be a guest! How can our readers find a great event planner in their area? There are several ways to find a great planner in your area. Word of mouth is probably the best option for securing the right planner. If your close friends or family do not have recommendations, try doing a search on Google or using online professional search tools such as Gig Salad or Thumbtack! These tools connect party hosts and professionals on one platform. They allow you to enter in your requests using a survey and professionals to respond. Any last tips and recommendations that you can share? My last tip is not to stress out… I know it can be a challenge if you are a perfectionist. However, if you plan properly, secure the appropriate professionals, and keep your GOH wishes in mind, everything will work out just fine. We share party tips and inspiration on our social media accounts and send out a weekly newsletter. Follow along with us for more fun inspiration on Facebook | Instagram | Twitter | Pinterest!